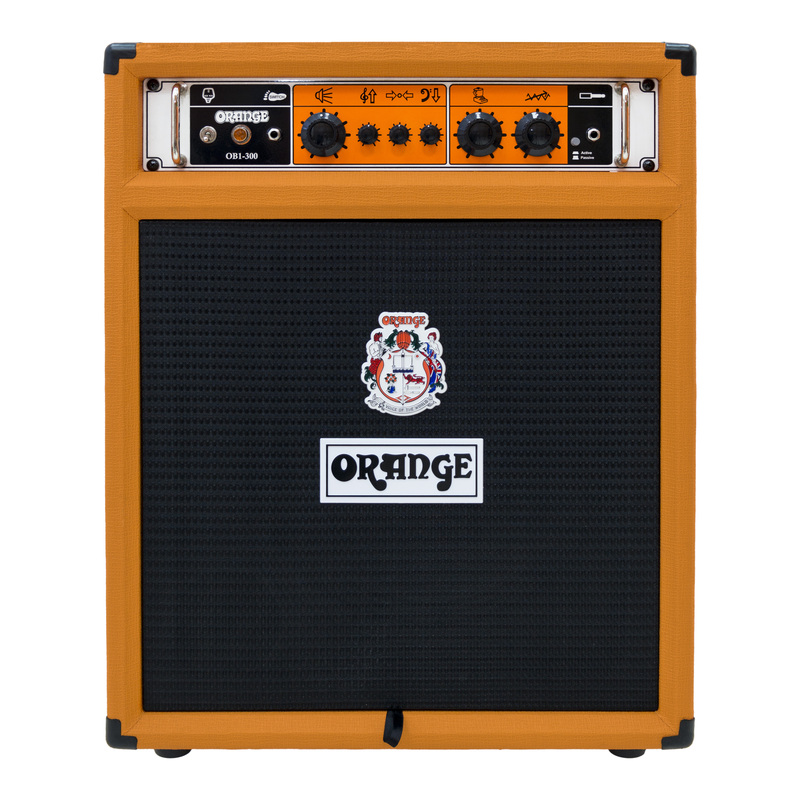 OB1-300 Bass Combo, Bass Guitar Combo Amp from Orange in the OB1 series. This new addition to the range is said toi capture the deceptively versatile nature of the OB1 heads with a 15” Eminence neodymium driver in ported cabinet. This combo format is described as an ideal match for the OB1’s multi-tonal platform, with the internal speaker harnessing the amp’s immediate attack and seriously hard-hitting low end. Even at the extremes of its wide-ranging tone controls, the OB1-300 Combo is said to remain unerringly focussed, offering everything from vintage grind to deep, contemporary cleans. The OB1-300 Combo was designed to go from sophisticated to unhinged at the turn of a knob or the stomp of a foot, in a package versatile enough for the bedroom, the bar or the big stage. The key to the sound of the OB1-300 Combo is the footswitchable Blend circuit that adds a veneer of controllable gain and increased harmonic content to the upper registers of the input signal. The lower frequencies and clean signal are left alone, staying warm and clear just like a ‘bi-amped’ setup, allowing bassists to create an enormous, full-range sound. 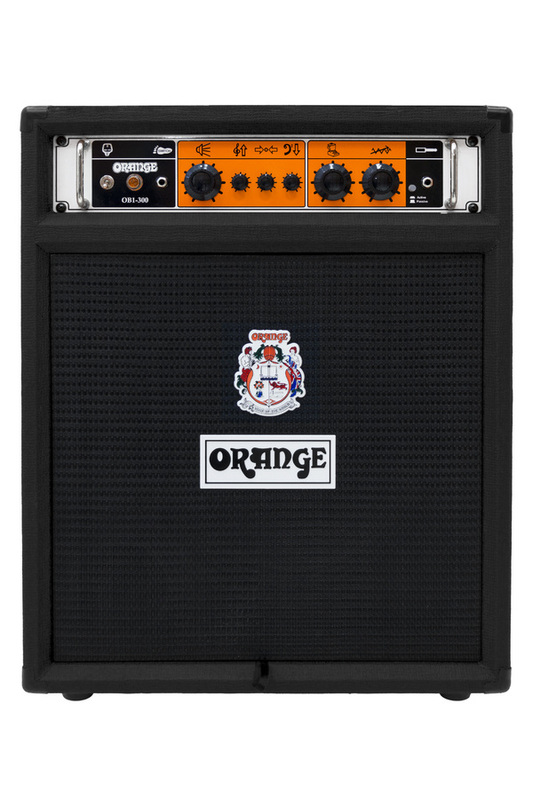 If you're in the L.A. area these days, you can see the OB1-300 Combo and other new products at the Orange Amplification Booth (#4890, Hall C) at the NAMM. 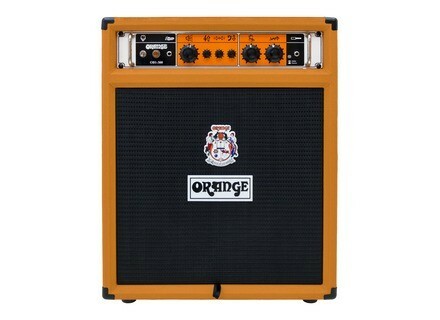 Or, for for further information, you can visit orangeamps.com.